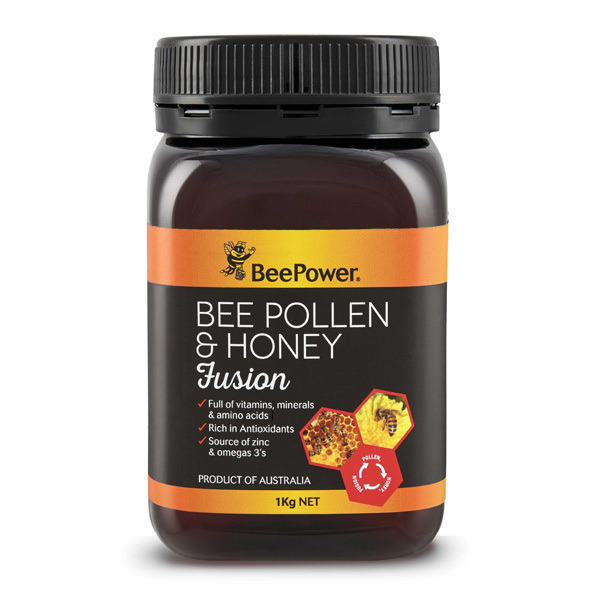 Introducing Bee Power’s flagship product, Bee Pollen and Honey Fusion, packed full of nutrients – including more than 15 amino acids, vitamins B3 and C, and the minerals zinc, calcium, iron and magnesium. It’s low in fat too, with more than a third of the fat it does contain present in the form of the beneficial omega-3 oil alpha-linoleic acid. And perhaps most importantly, thanks to its pollen content, Bee Power’s Pollen Honey Fusion has measurable anti-oxidant activity. Bee Pollen has been termed a ‘food of the gods’ and it is one of the few naturally occurring high caliber food sources that contain exceptionally concentrated supplies of quality nutrients. It has higher levels of effective ingredients than any other documented product. Arguably the best pollen product in the world, through thorough research we have infused two of nature’s most powerful and effective super food ingredients. Using Australian pollen in its most natural state and 100% Australian eucalyptus honey is what makes this product so effective. By infusing bee pollen with the honey, the pollen becomes incapable of deterioration or decay. Through this process we are able to keep the pollen in a raw and natural state avoiding dehydrating it into granules and capsules, which is the most common way to intake bee pollen. Keeping the bee pollen raw retains the most nutrients and vitamins possible. Honey also enables the pollen to easily absorb into the body. 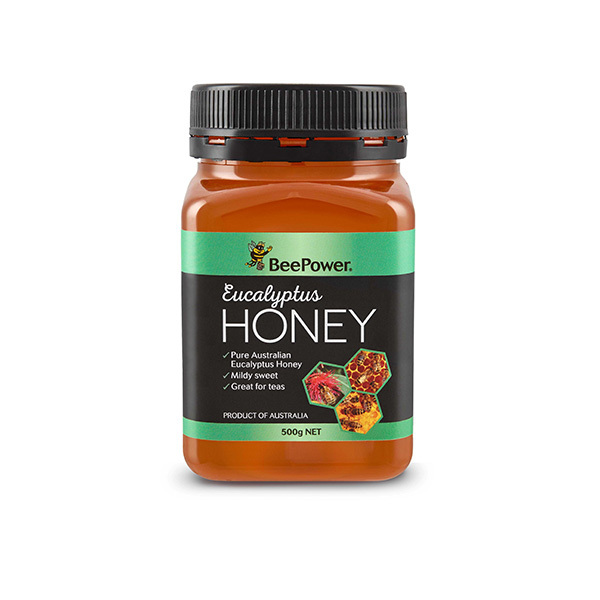 Also, bacteria cannot thrive in a honey medium, due to its hygroscopic (anti-moisture) properties. By infusing this combination of bee pollen and honey, both remain pure and intact for many years. 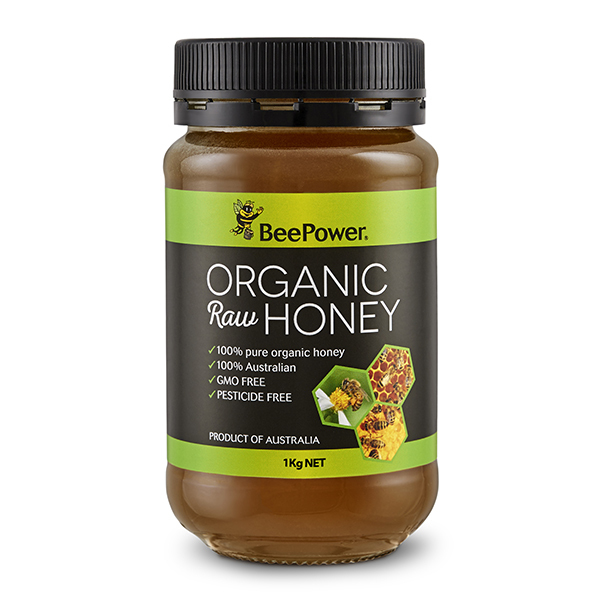 Combine all of these benefits into a single easily digestible food, and it’s little wonder Bee Power’s Pollen Honey Fusion has such a fast growing following throughout Australia and the world. 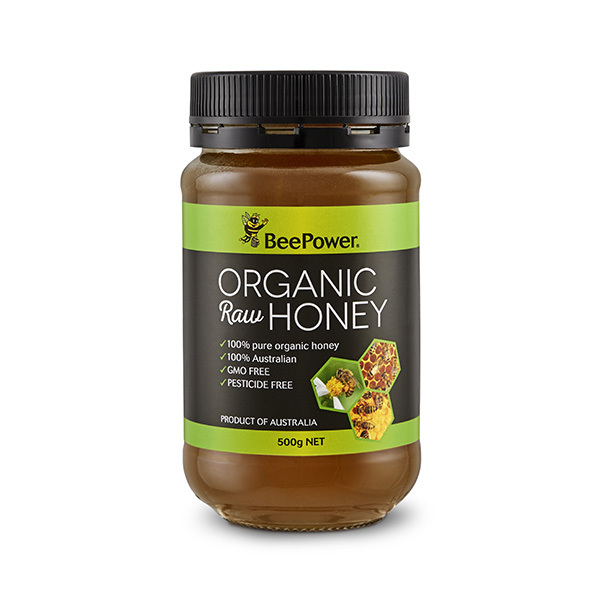 Bee Power Pollen Honey Fusion supplies the body with an abundance of vitamins and minerals ensuring that you stay happy and healthy. 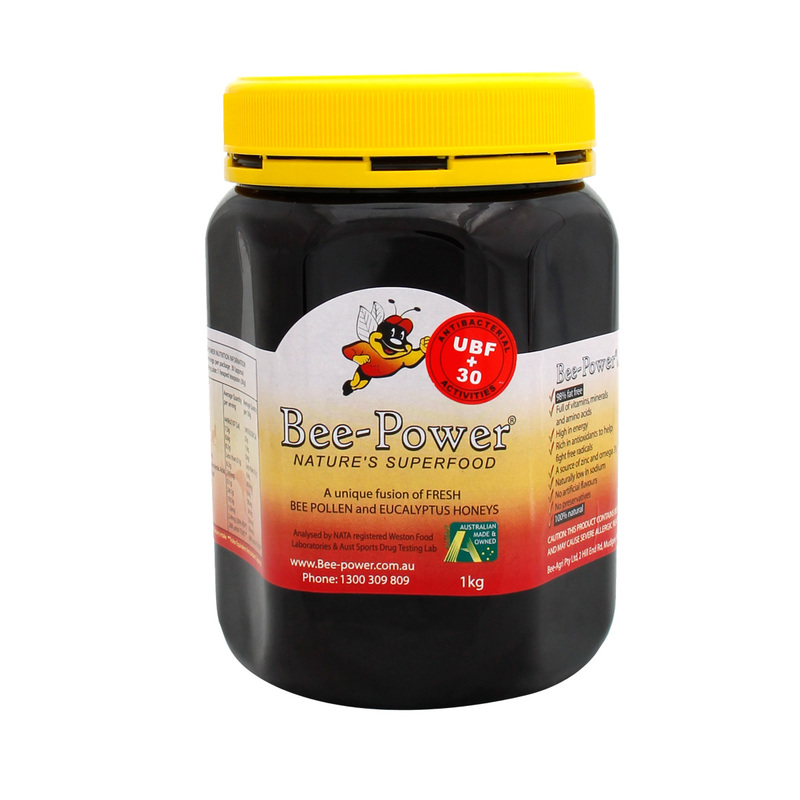 Bee Power provides you with great properties, the highest of any bee products in the world today. Bee Pollen and Honey Fusion is an energizing and nutritious food – not a medicine – so it can be eaten at any time of day. Bee products should not be given to children under two years old. Use with caution under professional supervision, if allergic to pollen.